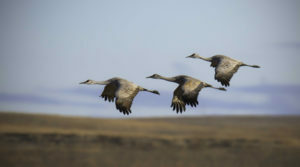 Each March and early April, over 20,000 Sandhill Cranes visit a 15 mile portion of the North Platte River between Lake McConaughy and Oshkosh, NE on their way north for nesting season. They roost overnight on the sandbars and islands, and the evening fly-in can often be viewed from the old Lewellen bridge, a half mile south of town. During the day, the cranes feed in cornfields and meadows north of the river. They can generally be spotted from county roads north of HW 92 from Lemoyne to Lewellen. Please be careful not to startle the birds, and remember to be respectful of private property. Due to habitat diversity, Keith County, Nebraska is considered “the best place in the state and the third best in the country to go birding,” according to noted ornithologist and author Dr. Paul Johnsgard, UNL Professor Emeritus. Our location on central migration flyways and proximity to large bodies of water add up to ideal conditions for birds. More than 360 species have been identified in the area, with over 100 breeding species. Spring and fall migration time are especially good opportunities to spot Sandhill cranes, white pelicans, ducks, geese, and shore birds. Check the Lake McConaughy Birding Trails Map and Bird Species Checklist to get started. The lake region is also the best place in the state to view America’s national bird, the bald eagle. 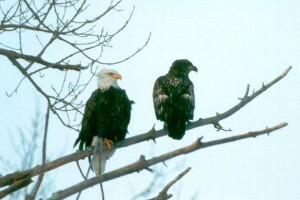 Eagles gather in large numbers during the winter months below Kingsley Dam on Lake Ogallala. They can generally be seen during January and February. The Kingsley Hydroplant creates open water, which allows the eagles to fish for food. 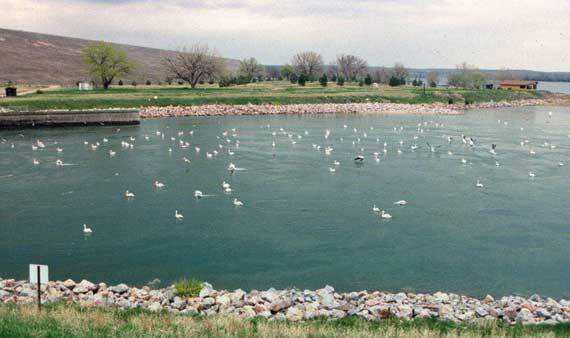 Central Nebraska Public Power and Irrigation District maintains a public eagle viewing facility on below the south end of Kingsley Dam. Clear Creek WMA offers excellent birdwatching. It is located at the west end of Lake McConaughy, south of State Highway 22, about 8 miles east of Lewellen in both Garden and Keith Counties. According to the Nebraska Ornithologists’ Union (noubirds.org) Bobolinks and Clark’s Grebes nest here and Least Bitterns have been found. Barn Owl nest cavities usually can be seen in the cutbanks at the turnoff from Highway 22. 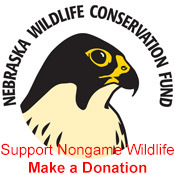 For more information about the Nebraska Wildlife Conservation fund, see NebraskaWildlifeFund.org.